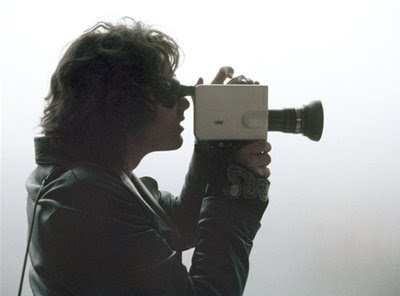 "HWY: An American Pastoral", is a 1969 student film created by Jim Morrison, Frank Lisciandro, Paul Ferrara y Babe Hill with music by Fred Myrow and sound engineering by Bruce Botnick. Jim Morrison attended the Florida State University (FSU) in Tallahassee where he appeared in a school recruitment film. In January 1964, Morrison moved to Los Angeles, California. He completed his undergraduate degree in UCLA's film school, the Theater Arts department of the College of Fine Arts in 1965. He made two films while attending UCLA. First Love, the first of these films, was released to the public when it appeared in a documentary about the film Obscura.